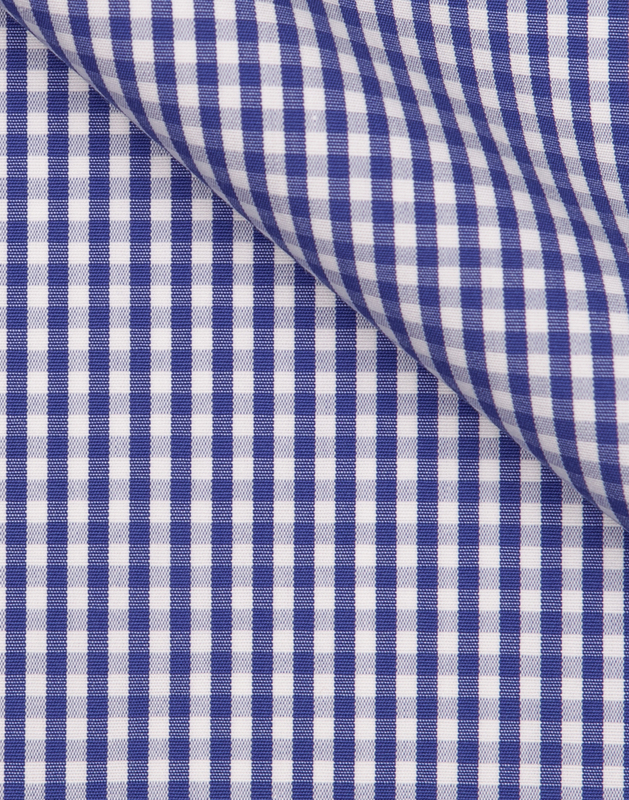 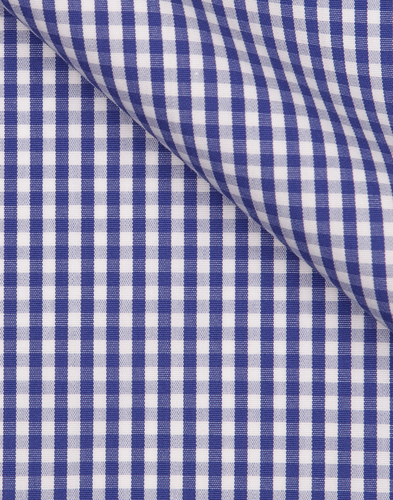 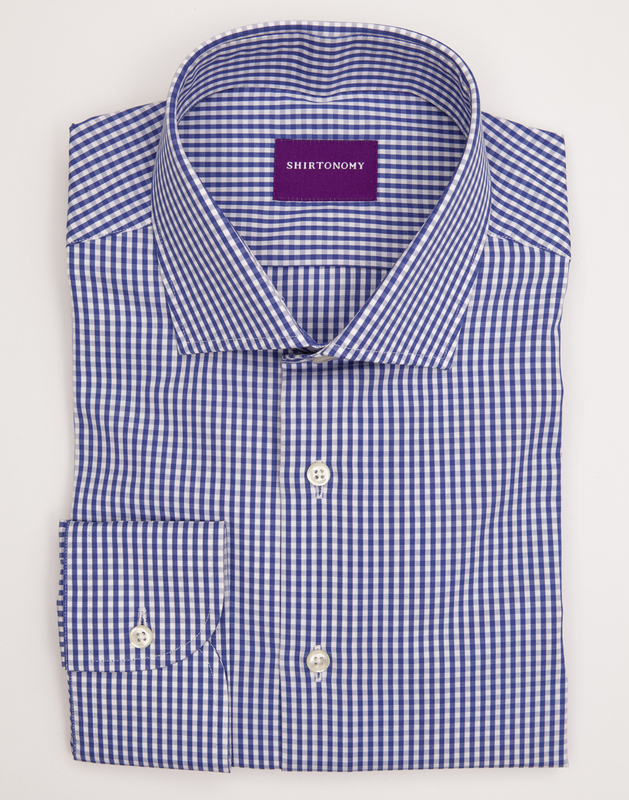 The medium blue gingham-pattern fabric is a multi-faceted classic. 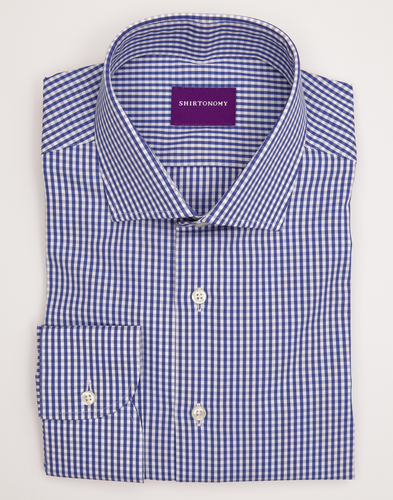 Its perfect sized checkered pattern makes the shirt a free time favourite, while when combined with a toned down tie it creates a tasteful alternative for those who want to put a twist on a more formal look. 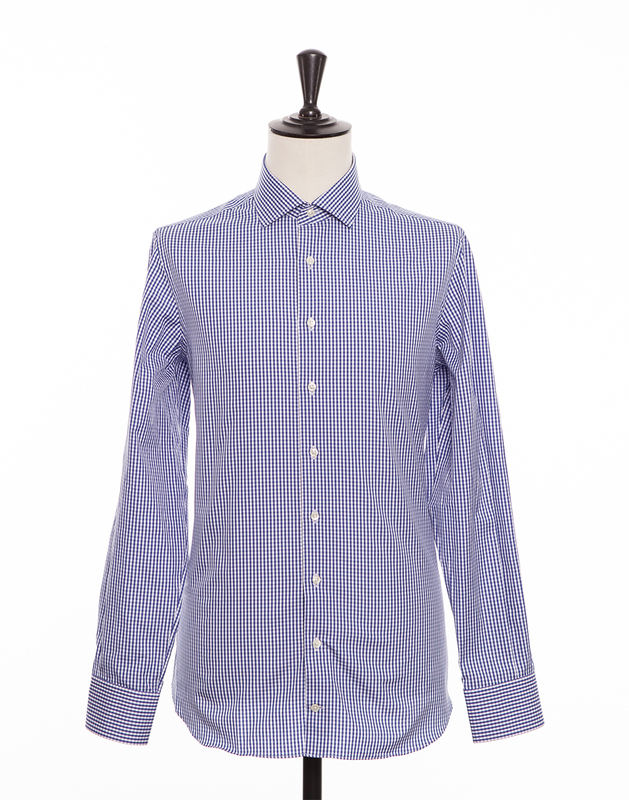 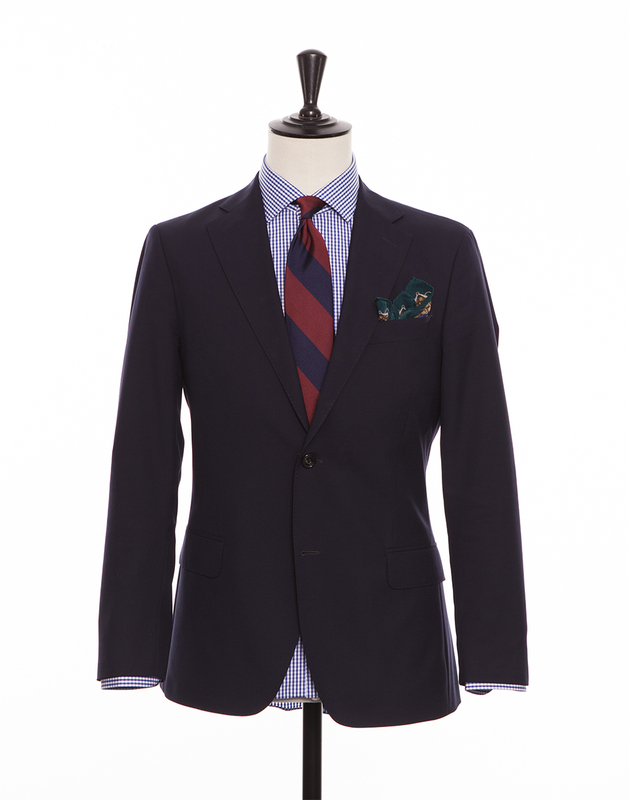 The fabric is a poplin weave and is made in Portugal.